Start your engines, folks: The 2014 tax filing season’s green flag waves for taxpayers on Jan. 31. Gather your W-2s, 1099s, K-1s, 1098s and any cancelled checks or receipts you might need, take a deep breath, and dive into tax filing fun! OK, maybe it’s not always fun, but it can be made easier if you’re able to get assistance when you need it. Being a Veteran or an active-duty Servicemember means you have options for assistance, too. First, check out the Internal Revenue Service’s Volunteer Income Tax Assistance and Tax Counseling for the Elderly programs. The page has information on how to qualify for these programs, and links to online search pages so that you can find help near you. Qualified Veterans and active-duty military can also get free federal and state tax preparation and filing assistance, both online and in person, by MyFreeTaxes.com. This is the only free online tax preparation and filing service available in all 50 states and Washington, D.C., that allows users to file both a federal and state return, no matter where they live. To use this service, qualifying families must earn $58,000 or less. MyFreeTaxes.com is sponsored by Walmart, Goodwill, the National Disability Institute and the United Way. The site’s architect – Everard Lee Davenport – sits on the board of the IRS’s Electronic Tax Administration Advisory Committee, and works with nonprofit organizations, corporations, government agencies and Volunteer Income Tax Assistance sites to create and deliver free income tax, financial empowerment and digital learning programs to underserved communities. For those of you who prefer to do your own taxes, there are several options to e-file your taxes online – free of charge. IRS Free File is available to taxpayers with an Adjusted Gross Income (AGI) of $58,000 or less in 2014. TurboTax Freedom Edition is only available to those eligible for IRS Free File. TurboTax Military Edition: TurboTax created a software program specifically for military members. There is currently a free version for junior enlisted, and a discount for senior enlisted and officers. Read our full review for more information, or visit the TurboTax Military Edition site. MilitaryOneSource.mil offers a free version of H&R Block At Home®. You must click the link directly from the MilitaryOneSource home page and be logged into your account. This version features one federal return and up to three state returns (good for military members who change state residency during a tax year). Taxslayer.com offers free state and federal e-filing for military personnel. 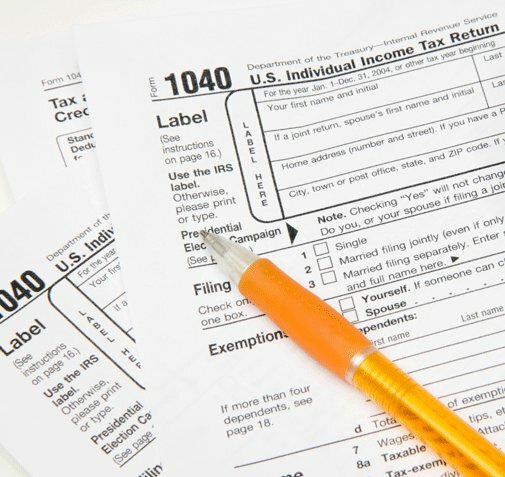 Whatever your method, we hope that one of these resources helps you and your family to quickly and efficiently put the 2014 tax season in your rear-view mirror. Please note that VA does not endorse any of these sites but brings your attention to them as they have services available specifically for Veterans and military families. I get refund based on my job but my i add my retirement pension I end up having to pay. I have received nothing from the VA relative to disability payments for the past year. I need the total amoint an taxes withheld if any. Your father’s disability is Not taxable so there will be nothing to file for that. As for his retirement, the IRS website has a questionnaire that will help you to determine if taxes on his behalf need to be filed or not. I receive a Compensation Pension from the VA. This is my first year to file taxes under this condition. I looked at the E-Benefits and VA websites and I find no mention of a W-2. I thought all W2’s had to be in hand by Jan. 31. My husband is in the same boat. After doing some research, I discovered that disability benefits are NOT taxable. I was starting to stress. FYI, W-2’s are for earned income (paid for hours worked), 1099’s are for unearned income. You would not receive a W-2 from VA because you are not employed by them. You would get a 1099 for any earnings for the year in excess of 599.00. Since disability compensation is non taxable you will not receive a 1099. Do you have to pay taxes on disability payments?